These home owners weren’t taking any chances, they were bring in a home stager right from the beginning! They had outgrown their adorable home and had moved to their new home. The wife was a fan on social media so she called us right away. After doing a few updates and applying a fresh coat of paint they were ready for staging. We brought in light trendy furniture to appeal to a young professional couple, as the home wasn’t overly large and the realtor, home owner and I all agreed that was probably who would buy this home, in it’s location her to the hydrostone in Halifax. 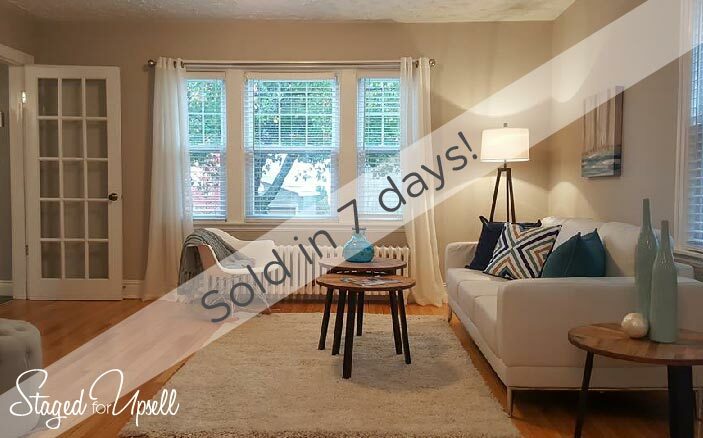 They didn’t have to wait long, they sold in 7 days and had a quick closing. We love our jobs!